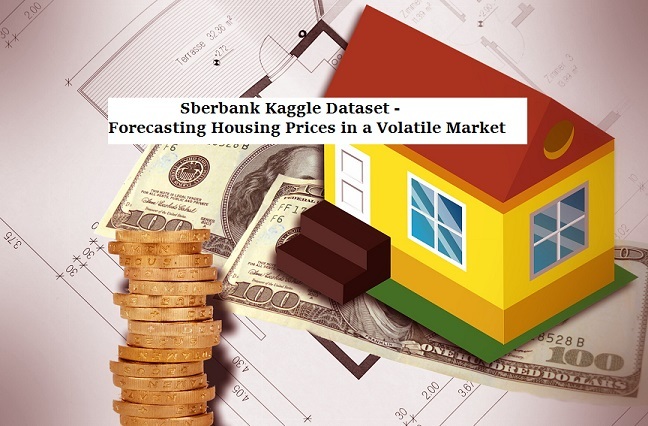 For this month’s tutorials, we are going to work on the Kaggle Sberbank housing set, to forecast house price prices in Russia. This is a unique dataset from the Sberbank, an old and eminent institution in Russia, in that they have provided macroeconomic information along with the training and test data. The macro data includes variables like avg salary information, GDP, average mortgage rates by year, strength of Russian ruble versus Euro/Dollar, etc by month and year. This allows us to incorporate relevant political and economic factors that may create volatility in housing prices. You can view more detailed information about the dataset, and download the files from the Kaggle website link here. Mindmaps for both Data exploration and solution framework. In this dataset, there are 291 variables in the training set, and 100 variables in the macro set. So for this project, we are going to use both Tableau and R for exploring the data. Initial Hypothesis testing to check for variable interactions, and help create meaningful derived variables. Baseline prediction models using 5 different machine learning algorithms. Internal and external validation. Internal validation by comparing models by sensitivity, accuracy and specificity . External validation by comparing scores on the Kaggle leaderboard. Ensemble (hybrid) models using combination of the baseline models. Final model upload to Kaggle.